Day 8 of the 12 Days of Christmas Giveaway! 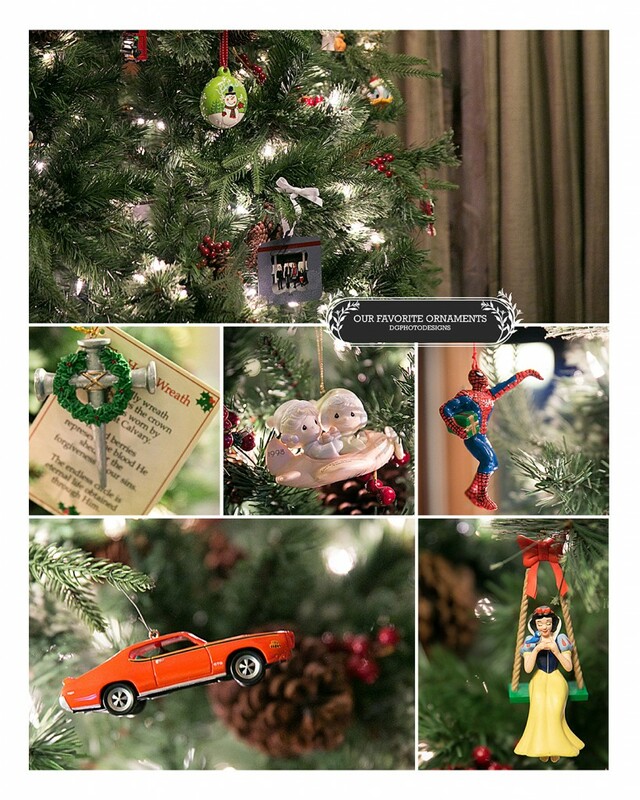 Home » 12 DAYS OF CHRISTMAS GIVEAWAY » Day 8 of the 12 Days of Christmas Giveaway! Pictured is our Christmas tree and a picture of each of my families favorite ornament. 1. The Holly Wreath- The holly wreath symbolizes the crown of thorns worn by Jesus at Calvary. Its red berries represent the blood He shed for the forgiveness of our sins. The endless circle is eternal life obtained through Him. 2.. Our first Christmas ornament as husband and wife. 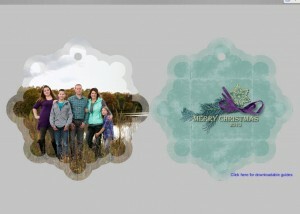 I just designed and ordered our new 2013 family Christmas ornament and I am glad that it will be here in time for Christmas. I am behind on working on my family Christmas items. I ordered our Christmas cards finally yesterday. Below is 2012’s Christmas ornament and a screen shot of our 2013 ornament that is coming. Boy has my son Justin gotten a lot taller since last year! Screen shot of 2013 Grass Christmas Ornament. So in honor of our favorite ornaments I am giving away 1 custom designed metal ornament! For this ornament you can submit a photo to me, as long as it is a snap shot or you have permission from the photographer if it is copyrighted. You can also book a session with me and use on from our session 🙂 You will have several shape options to choose from. To enter, comment on this blog, share the giveaway via facebook or twitter and make sure and like DGPhotoDesigns if you haven’t already! 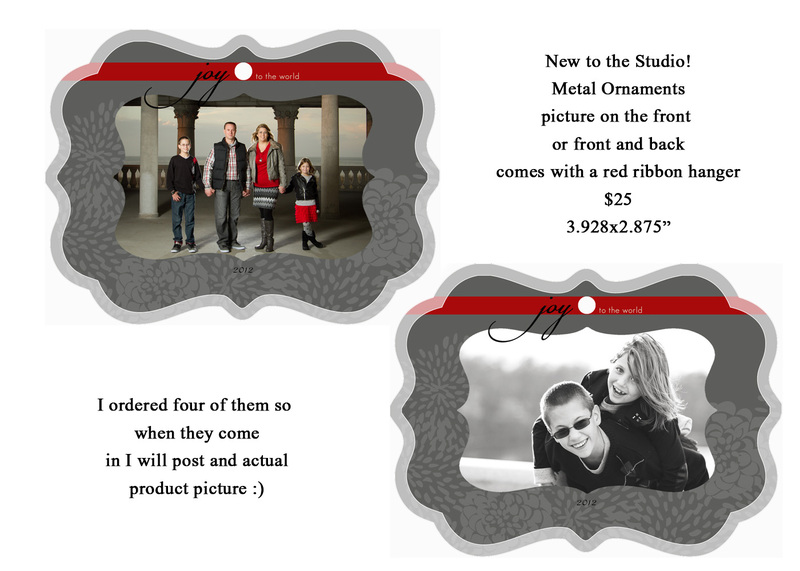 FOR ANYONE WANTING TO PURCHASE AN ORNAMENT THE REGULAR PRICE IS $25 BUT FOR THOSE THAT ENTERED YOU CAN GET YOURS FOR $15! Love Donna’ s pictures ! This is so cute! Would be cool to do one every year with Lilly!! yes that is what we are doing. I started it last year. I should go back a couple years and make some more lol. But this will be our new family tradition for the Christmas tree. I would love to win this. If I don’t win would you mind telling where you purchase them from? I would love one of those for Lincolns 1st Christmas! Love this is so pretty!! This is so neat never seen these done before. Absolutely love this idea! We have a few awesome pictures by YOU that would work beautifully!